What do you think are the most important blender tools? 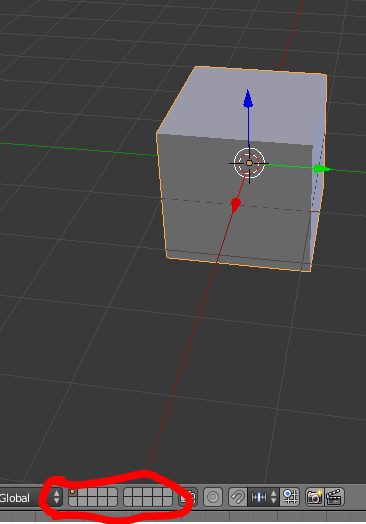 What do you guys think are the most important tools that you use when making Unturned game objects in blender?I want to learn more about doing costume Unturned objects in blender, but I’m not really sure about what to use when making objects. If you’re looking to make houses or buildings, Nelson has a tutorial on that. But just objects in general will usually use E (Extrude) and Ctrl + R (Edge Loop) because of Unturned’s mostly blocky nature. Something to note is that most Unturned models arent fully connected to themselves; a vertex from a windowframe is not connected to the building, it lies there in space and phases through the wall, allowing for easier placement and a lower face count. [DELETE] = brings up menu that allows u to delete stuff (i reccomend always using delete face) and also has “Limited dissolve” function. Use this when ur model is done to reduce face count. [G/R/S + Z/Y/X] = pressing one of the previous 3 and then an axis will only do the thing on one axis how cool is that!!! [G/R/S + SHIFT + Z/Y/X] = like basically the same as the last one but press shift when selecting one of ur axis and ur thing will do its think on all the axis except the selected one, really cool thanks kanye!!! [a number] = pressing a number after pressing [G/R/S] (axis optional) will allow u to modify that object by a certain amount of units, eg pressing R, Z, 15 will make ur selection rotate by 15 degrees on the Z axis. [SHIFT] + [S] = haha i used this combo to write a capital S lololo yeah but this allows easy manipulation of the 3d cursor (you can move it anywhere by using ur left mouse button but this is more pro) and also allows u to move ur model/whatever to ur 3d cursor. When using this in edit mode with more than one thing selected, i reccomend doing “Selection to cursor offset”. i usually use this for like keeping my original model on layer 1, having the high quality dissolved + textured model_0 on layer 2, model_1 / navmesh on layer 3, skybox on leayer 4 and final export with everything on layer 5 really cool and useful. nooby wanna play risk of rain? da fuq kind of risk has rain gotten into? jeez, is there anyone in this forum who doesn’t use blender? Quite a lot of the people who use the forums are modders. I used to use Sketchup, and I know someone who uses AutoCAD to mod.